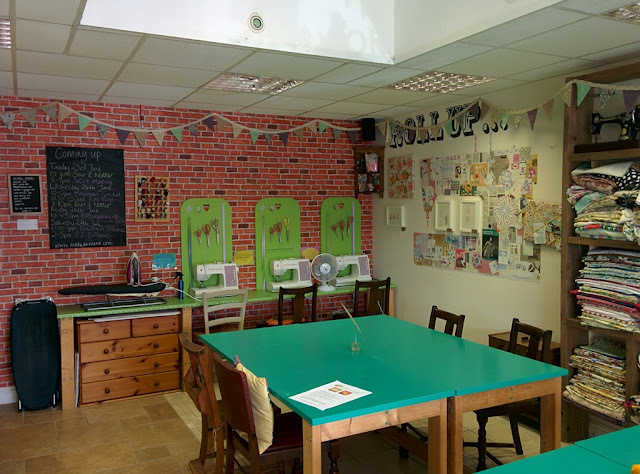 Make Do and Mend is a fabulous creative space in Chelmsford, Essex. They have an extensive creative workshop programme offering classes in everything from dress making, crochet, knitting, jewellery making and much more in between! 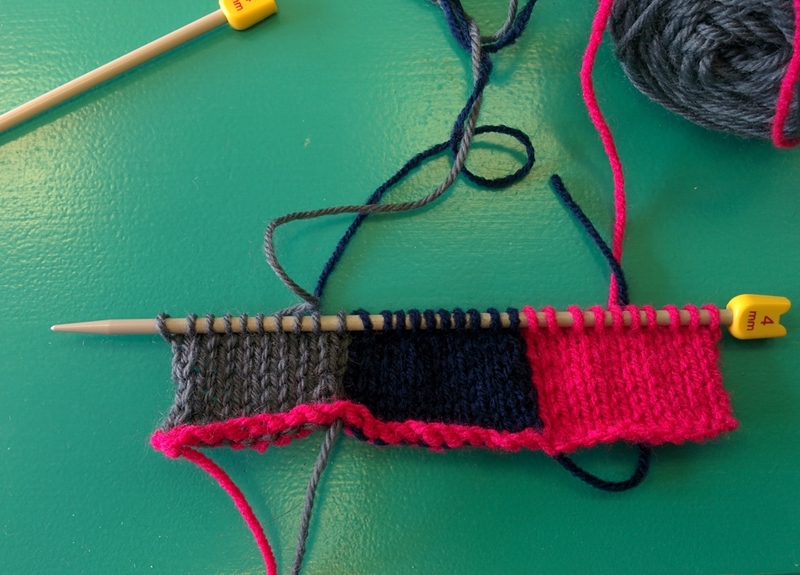 I've been wanting to go along to a workshop for some time so when I heard about the Intarsia and Fair Isle Knitting workshop I took the plunge! 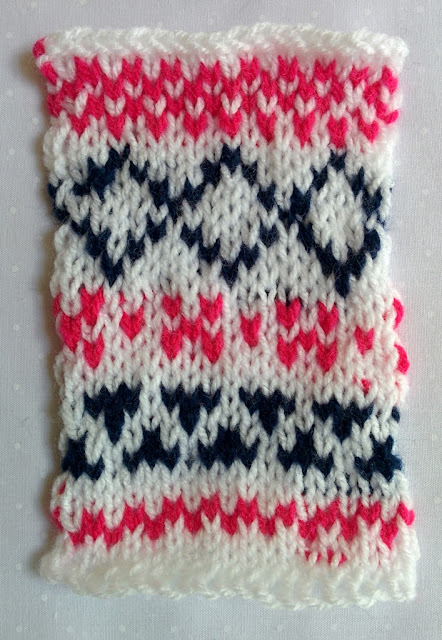 If you're a regular reader you will know that I'm obsessed with all things Fair Isle at the moment! Having created a hand knitted fair isle jewellery collection and now working on adding to this range I wanted to brush up on my fair isle skills. I have taught myself what I know about fair isle knitting from books but jumped at the chance of the workshop to pick up more knowledge from workshop leader and Make Do and Mend founder Hannah. We were made at home with coffee, tea (Earl Grey, my favourite!) and biscuits! 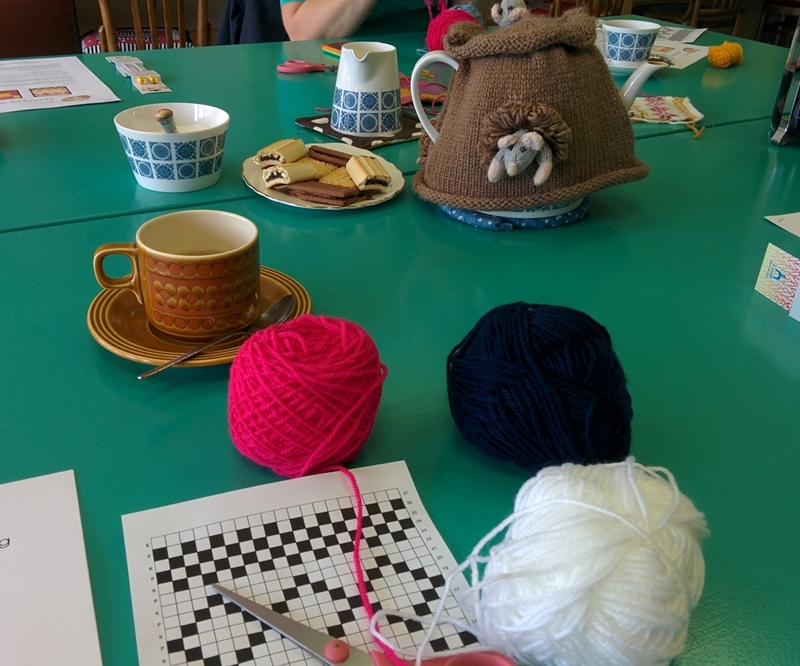 Hannah told us that the super cute mouse tea cosy was a handmade gift to Make Do and Mend from a lady who learnt to knit there- so lovely! 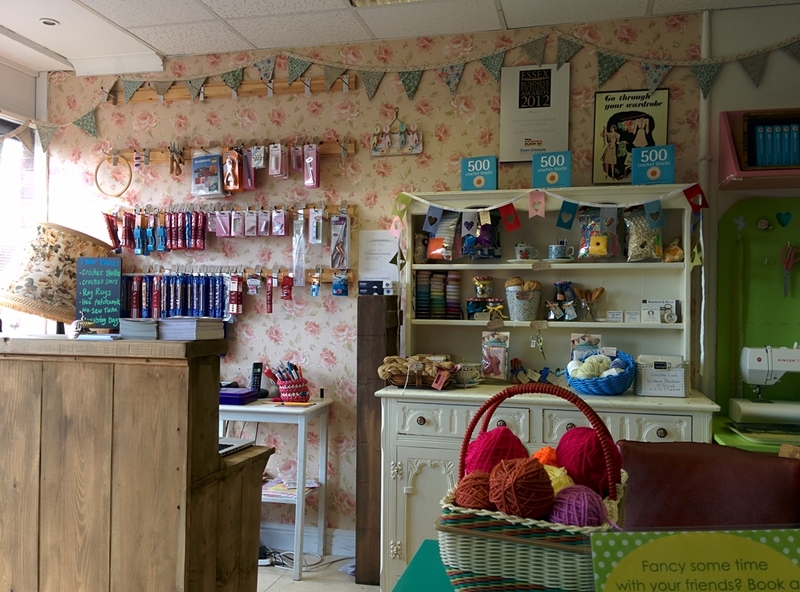 How cute is the shop front?! 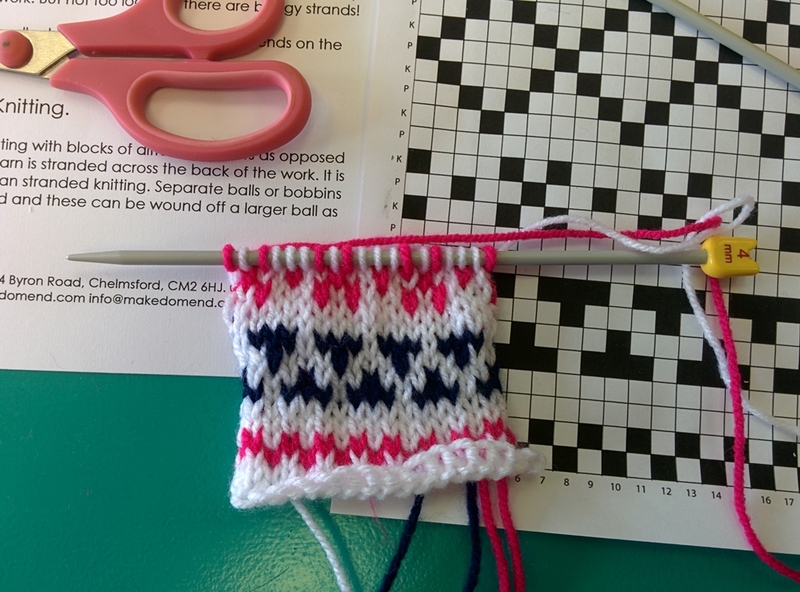 I'd now love to try knitting a picture jumper to these intarsia skills into practice! 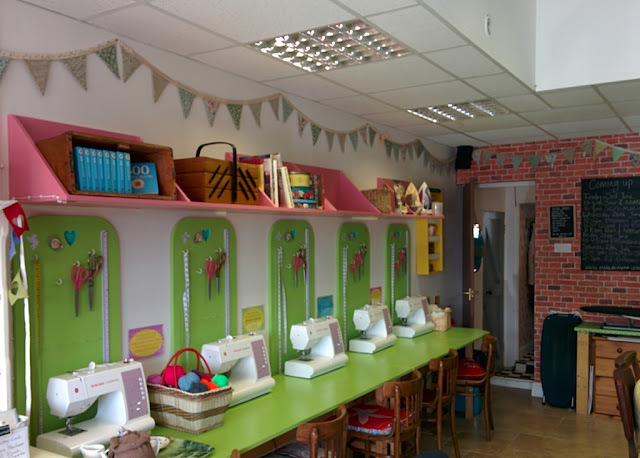 The space at Make Do and Mend is well equipped and large enough to cater for groups and even crafty Hen Parties- right up my street! I came away feeling like I'd really achieved something after a very fun and relaxing morning. Thank you to Hannah for being such a patient tutor, I can't wait to go back and do some more workshops! 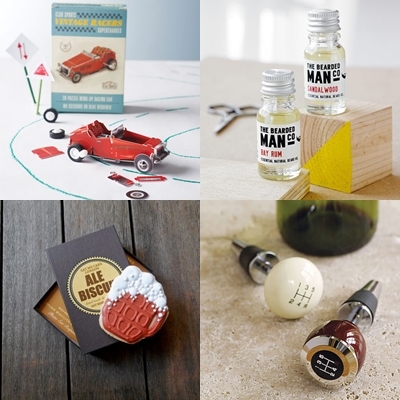 Check out the Make Do and Mend website here and go and be inspired! 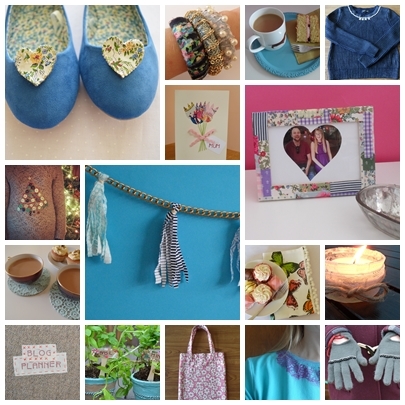 If you would like to get crafty and do some upcycling yourself, check out the How To section of my blog where you will find many craft project tutorials made using upcycled materials, from a spray painted vintage tea tray to a photo frame decopatched with upcycled fabrics, to napkins upcycled from tea towels! 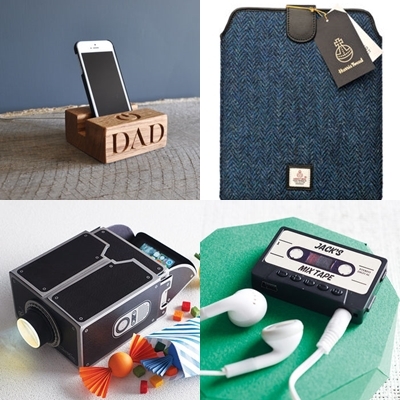 Do you love to upcycle? I'd love to see your creations- share them in the comments below and we'll all celebrate National Upcycling Day together! I used one of the knitted samples to make a round brooch using a cover button but I thought that this hid the fair isle design too much, so I've knitted the same design and made it up as a small square brooch. I'm much happier with this, I think there is more scope for trying out different designs within this shape. 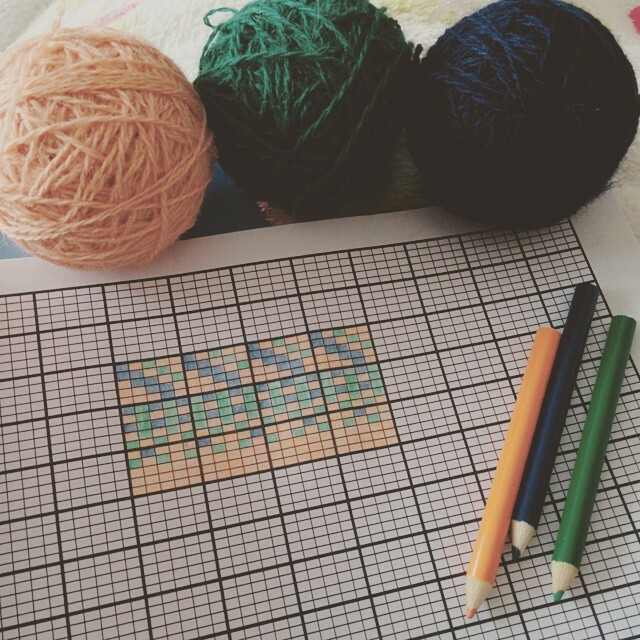 I'm so enjoying making up my own fair isle designs using knitter's graph paper and coloured pencils! I'm trying out lots of colour ways to find out what works too. 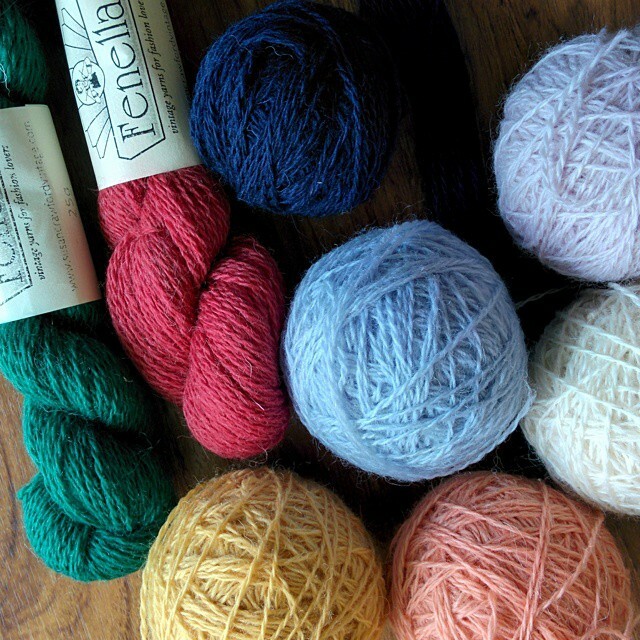 I've just ordered a few more colours in the Fenella to add in too- it's such a beautiful yarn, I find it hard to resist! Are you on Instagram? 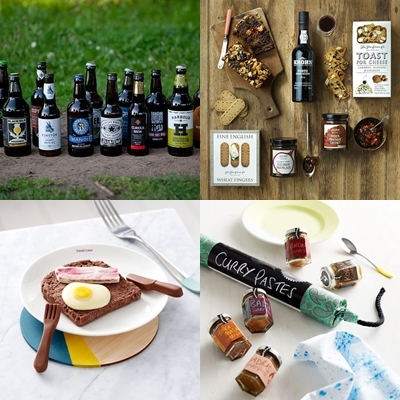 It's fast become my favourite of all the social media channels- it's so interactive and from a craft perspective, it's a great way to discover inspiring makers from all over the world. 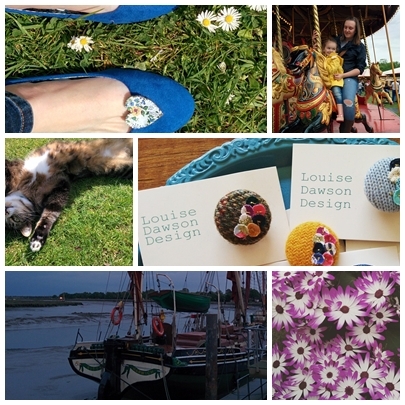 My page offers a glimpse behind the scenes at Louise Dawson Design- lots of craft, cats, baking and sunshine! You can find me on Instagram here- I'd love to follow you too! 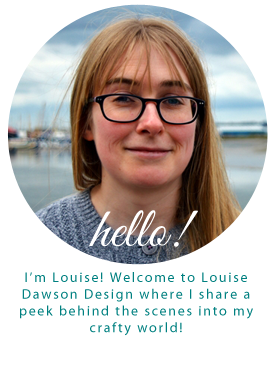 I thought I'd show you a little look behind the scenes at what I'm working on at the moment! I'm already thinking of Winter designs and adding to my Fair Isle Jewellery range that you can find in my Etsy Shop. 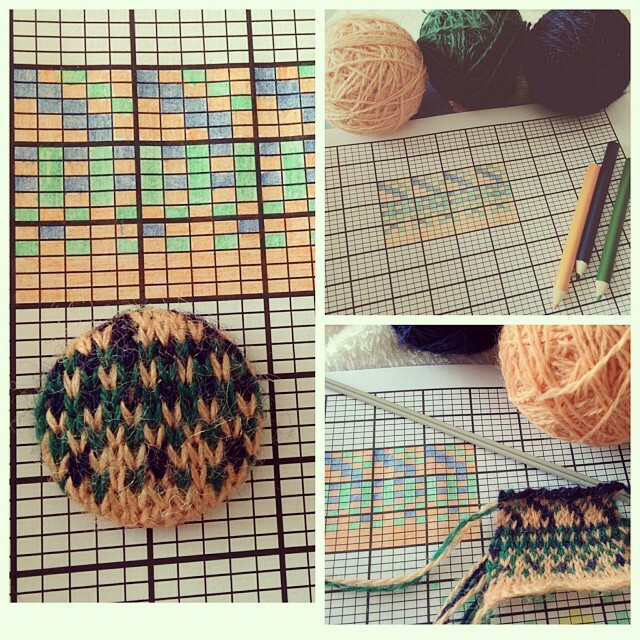 I made these pieces using 4ply Shetland wool, which is beautiful and is traditionally used for Fair Isle Designs. However, due to the small scale of the jewellery pieces I felt I couldn't knit as detailed pieces as I would have liked, so for the new designs I'm using a 2ply yarn! 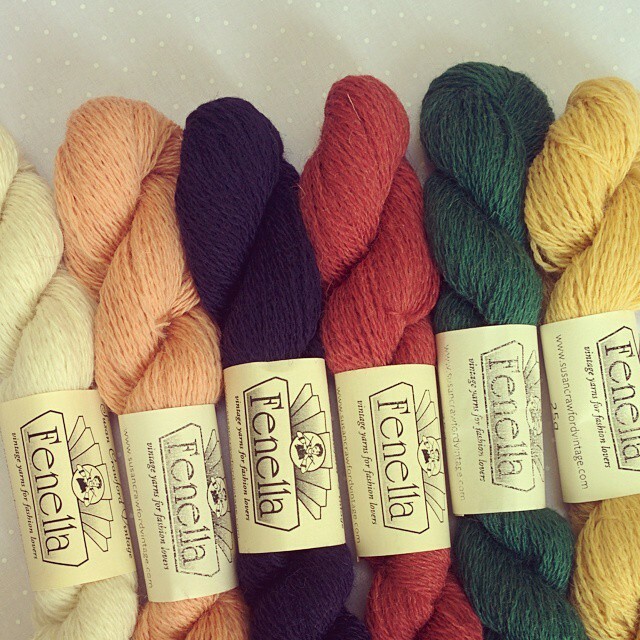 A friend told me about Susan Crawford Vintage yarns and the Fenella two ply. The colours are inspired by a vintage colour pallette and it's a British grown, spun and dyed yarn too- soo lovely! I've just got a small selection of colours to use at the moment but I'm sure I'll be investing in more of the range! At the moment I'm just experimenting to see what works. 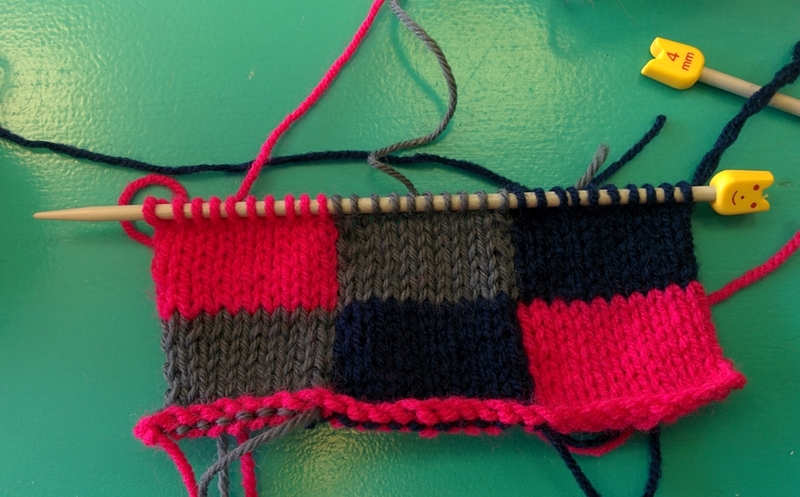 It's more tricky than I thought to select colours that work together in the pattern and It's quite a challenge to fit lots of Fair Isle detail into such a tiny piece. As you can see, once I've used the knitted rectangle to cover the button some of the Fair Isle detail is lost, so I will be working on this! It's fascinating to see the stitches on the page come to life in knitted form and I'm really enjoying the experimentation. I'll share more as this project progresses! I shared this How To for Recycled Fabric Wrapped Bangles on the blog last Summer. They are extremely thrifty and simple to make using scraps of fabric and old jewellery/beads you are likely to already have to hand. Lovely summer accessories- perfect to wear in the hot weather we've been having! If you try this or any of my How Tos and you're on Instagram, tag a pic of your bangles with @louisedawsondesign so I can see your lovely makes! Happy making! It's Father's Day in the UK on Sunday 21st June and as my Dad's birthday falls in the same week, I'm busy searching for two great gifts for him! I've made a Father's Day Gift Guide featuring products from Not On The High Street sellers that I think would make fab gifts for Dads if you're searching for inspiration too! My favourite finds are the Build Your Own Wind Up Car Kit and the Beer Subscription- I bought this for my Dad's birthday last year and he was really chuffed with it!